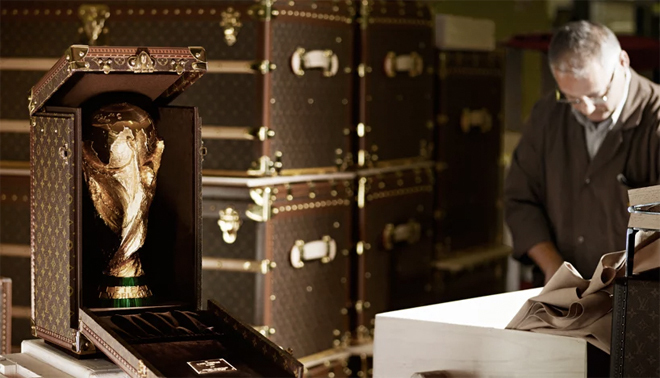 After three consecutive FIFA bespoke commissions, the Louis Vuitton Trunk carrying the World Cup trophy is coming home after 12 years. For the third time running, Louis Vuitton has partnered with FIFA for World Cup-related merchandise but this is the first time in 12 years that the French headquarter maison is finally bringing the trophy and its exquisitely crafted Louis Vuitton Trunk home. The trunk was designed to accommodate the FIFA world cup trophy measuring 36 cm in height, weighing 6.175 kg and made of solid 18-carat gold. 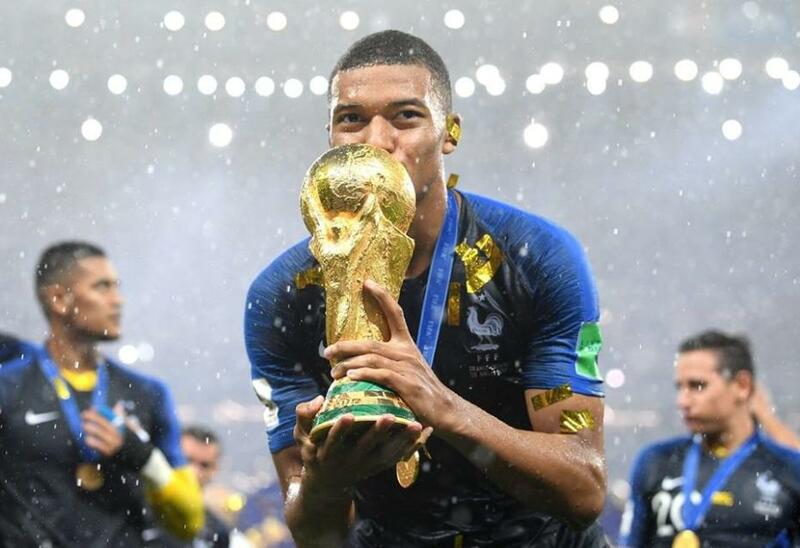 It’s coming home to France: French victory at World Cup finals means that after 12 years, the coveted cup and its accompanying handcrafted Louis Vuitton Trunk is coming home. The case, handcrafted at Louis Vuitton workshops in Asnieres, boasts a look of classic elegance and 21st century modernity. FIFA first commissioned Louis Vuitton to design a travelling case for the World Cup trophy in 2010. 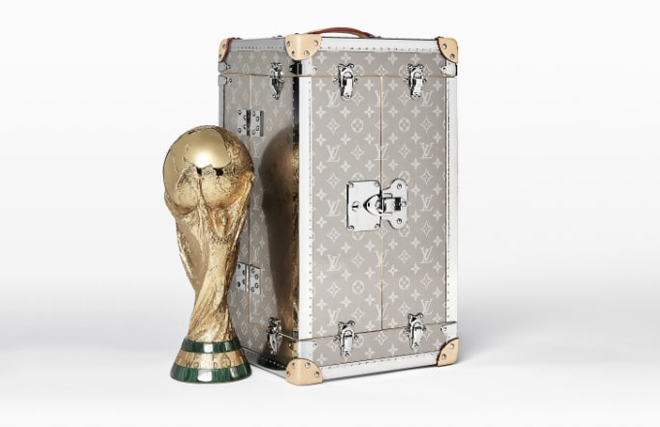 The French luxury house produced a bespoke, one-of-a-kind trunk, complete with the maison’s signature “LV” monogram across the entire exterior for the trophy to be transported in during the exhilarating World Cup finals. In 2010, the Louis Vuitton trunk and world cup trophy was awarded to Spain in South Africa. In 2014, the custom-made trunk was transported to Maracana stadium in Rio de Janeiro on 13 July, where the bespoke leather and brass container containing the solid gold cup was awarded to Germany. This year, the French team defeated rivals, Croatia in a gripping World Cup 2018 final resulting in an unprecedented six goals. Taking an early lead, Croatia equalised only to lose momentum to a French penalty shot. After half time, two more goals from the French cemented their lead, which the Croatians managed to claw back another goal from a miscalculating French goalkeeper but it was too little too late. Just a day after Bastille Day, the French team lifts the 2018 World Cup trophy and will be bringing its accompanying Louis Vuitton trunk back to its home in Paris, France. 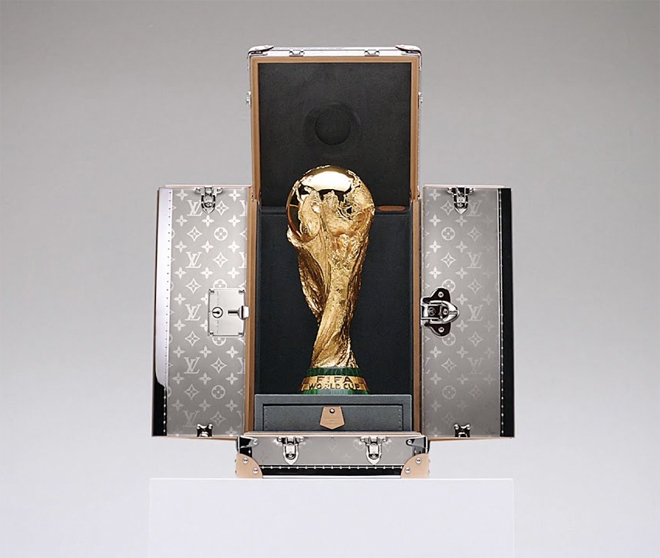 FIFA’s world cup isn’t the only award with its own bespoke Louis Vuitton Trunk. Louis Vuitton recently collaborated with the reputed Roland-Garros 2017 (The French Open) to debut two trophy trunks encasing the Suzanne Lenglen Cup and the Musketeers’ Cup for this year’s French Open. Additionally, the 35th America’s Cup presented by Louis Vuitton, also marks over 30 years of shared history with a new bespoke Louis Vuitton carrying case.